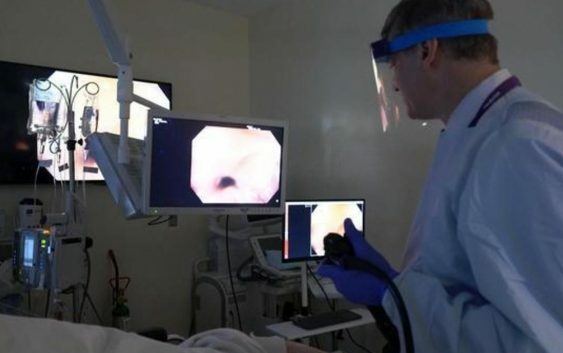 Colon cancer is the second leading cause of cancer-related deaths in the U.S., but colonoscopies have been found to reduce the risk of death from the disease by 70 percent by finding and removing benign polyps before they have time to turn into cancer. Doctors, however, don’t always find every polyp. As a gastroenterologist, CBS News medical contributor Dr. Jon LaPook knows all too well that colon polyps can be tough to spot. They may be partly hiding behind a fold, or so flat and subtle that they’re barely visible to the eye. A new high-tech tool may be able to help doctors spot them. LaPook decided to give the new technology a test run — not as a doctor, but as a patient. 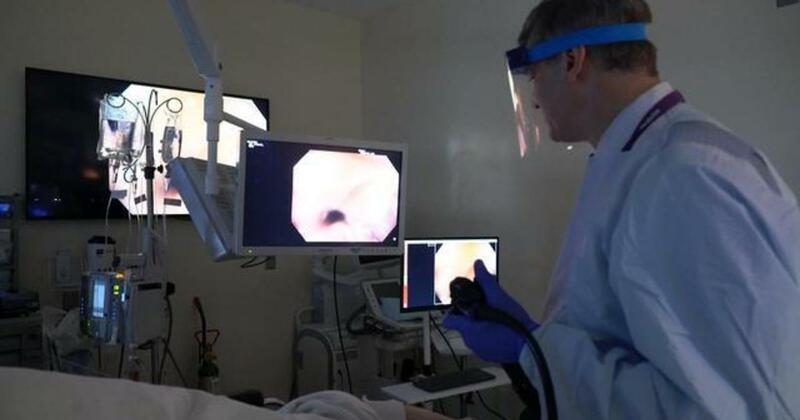 The colonoscopy was performed by Dr. Mark Pochapin, chief of gastroenterology at NYU Langone Health. Assisting Dr. Pochapin is a second set of eyes: a computer powered by artificial intelligence. “The good news is what we do really prevent cancer … but we do miss polyps, and we have to recognize that anybody, no matter how good they are, has the potential to miss something because we’re only human,” Pochapin said. A recent study published in the journal Nature Biomedical Engineering found artificial intelligence was able to detect polyps more than 90 percent of the time. Researchers in China had fed the computer more than 5,000 images from colonoscopies, and the computer used those pictures to teach itself to recognize polyps. Dr. Seth Gross is heading one of the first studies exploring whether AI can help find polyps not just in a computer lab but in patients actually undergoing colonoscopy. “The parts that we’re trying to improve upon detection are those flat ones, very subtle. … And this is where artificial intelligence can be most helpful,” Gross said. LaPook is one of the early participants in the study, which began about two months ago. The first polyp spotted by the AI in LaPook’s colon was very subtle, small and flat. Pochapin removed it but can’t say for sure whether he or the computer spotted it first. As Pochapin withdrew the instrument, the AI spotted another small polyp. We’re happy to report that the polyps were totally benign, and not precancerous. LaPook’s colonoscopy also highlighted the importance of doing a good job with the prep. His polyps were so subtle, they could easily have been missed if the lining of the colon wasn’t clean.